Braveheart tells the story of the Scottish hero, William Wallace, focusing on his romantic relationships and rebellion against Edward I of England. Braveheart, released by Paramount Pictures and 20th Century Fox in 1995, tells the story of William Wallace, the Scottish hero known for his rebellion against Edward I, also known as Longshanks. The story takes place in the late-thirteenth and early-fourteenth centuries, a time when England ruled over Scotland with a stern, iron fist. It highlights Wallace’s romantic, political, and military ventures in his fight against English tyranny. Braveheart’s interpretation of William Wallace is loosely based off Blind Harry’s poem The Wallace, published in the late-fifteenth century, chronicling the efforts of Sir William Wallace for Scottish independence. 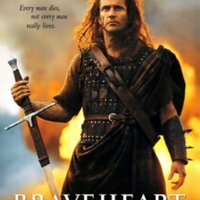 Directed by and starring Mel Gibson, Braveheart comments on sexuality and different national identities in critical way: the distinction between the Scottish and English are noticeable, as it is quite clear which side the filmmakers intended the audience to admire. Braveheart portrays the English in a weak and feminine light, while showcasing the Scottish as strong, masculine, and moral. The use of costume and wardrobe is one way in which the filmmakers expressed the masculinity in Scotsmen and femininity in Englishmen. There is a clear line between the English and Scottish with regard to their masculinity. The English wear bright silks, elaborate chain mail, and careful coifs, while the Scots’ hair are braided and wild, and they wear homemade leather and rough kilts (Pugh, 6). The paragon of masculinity, Mel Gibson makes it clear to audiences whom to support (Wallace and his band of Scottish rebels), instead of the weak, effeminate English leaders, in this epic film about war. Additionally, Wallace the character does not buy into the political fight for power and wealth that most Scottish nobles in the film concern themselves with. In his dialogue with Scottish nobles, he seems to be the only person whose actions involve a sense of morality, while the others bicker over lands and titles. He is also depicted as a courageous warrior on the battlefield. He is the moral anchor of the film, dressed in humble cloths and kilts often stained with blood, mud, or both. Braveheart’s Edward II (Peter Hanly) has a male lover-advisor; however, there is no historical evidence that Edward II of England, father of five, was a homosexual; Edward II’s queerness is supposed to make Wallace’s masculinity much more amplified, who also represents his rugged, fellow Scotsmen. One of the side plots of the film involves Prince Edward, portrayed as being gay, brusquely rejecting the attentions of his beautiful wife, the French princess Isabella (Aberth, 304). 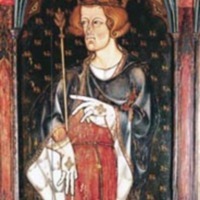 The English may display “weak” morals, but Gibson takes it to the next level by creating a fictional narrative surrounding Edward II’s sexuality. Wallace, in some aspects of the film, acts as Edward II’s masculine counterpart. Drawing on stereotypical images of homosexuals as weak and impotent, Edward II fails in consummating his marriage with Isabella (Ewan, 1220). When Edward II cannot perform heterosexual masculinity, Wallace attracts the foreign princess, eventually impregnates her, all the while gaining significant military achievements against English forces. Even during his gruesome execution, Wallace stays strong and controlled, while Edward II huddles beside the bed of his dying father. 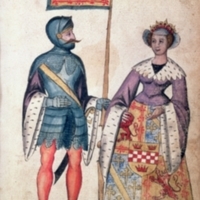 Gibson may have portrayed and gendered Wallace and Edward II in such different ways to emphasize the moral distinction between Scottish citizens and the English rulers, the morally strong and immorally weak. Braveheart makes a bold statement about masculine expression and sexuality. It was a gigantic success at the box office. It presents a compelling, dramatic representation of Wallace, one of the forces associated with Scottish independence. It was nominated for ten Academy Awards and won five including best picture, best director, and best cinematography. From the start, with the roaring bagpipes and beautiful shots of the Scottish highlands, some consider Braveheart to be a cinematic masterpiece. Aberth, John. A Knight at the Movies Medieval History on Film. New York and London: Routledge, 2003. Ewan, Elizabeth. Braveheart. Oxford, England: Oxford University Press, 1995. Pugh, Tison, and Kathleen Coyne Kelly. Queer Movie Medievalisms. Farnham Surrey, England: Routledge, 2009.